Here is is. 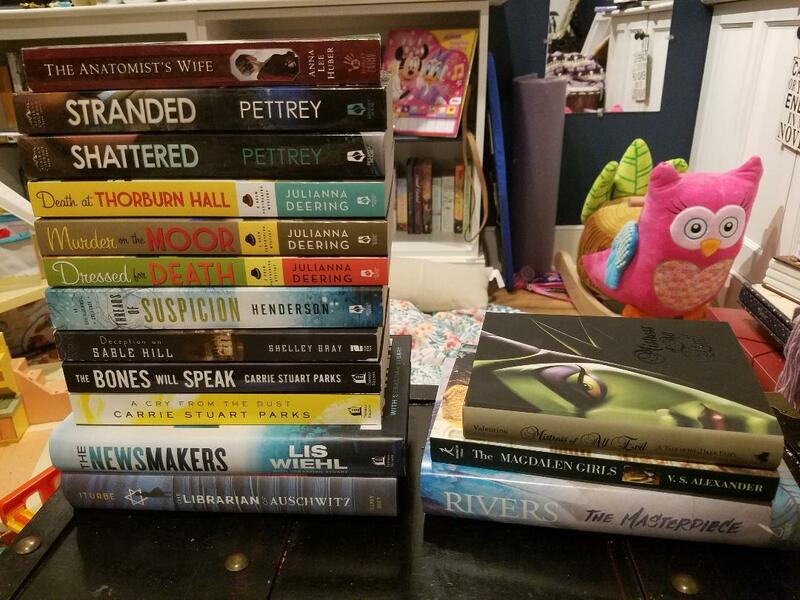 My February book haul. Finally, lol. Please don’t mind the things in the background. Those toys are my niece’s, who I babysit. Anywho, this was an exciting book haul for two reasons. The first, I reached my goal of 30 days no hair pulling. For anyone curious as to what I am talking about, I will be writing a post about that in greater detail. The second reason, I received four books last month as gifts. They were also gifts for reaching my first 30 days of no hair pulling. Now, onto the books! Are there any on this list you have read? What were your thoughts about the book(s)? Are there any on my list you want to read? I would love to hear from you!